. "Mathieu Da Costa". The Canadian Encyclopedia, 01 February 2019, Historica Canada. https://www.thecanadianencyclopedia.ca/en/article/mathieu-da-costa. Accessed 20 April 2019. Mathieu Da Costa (depending on the language of the documents that mention his name, also known as “Mateus Da Costa,” “Mathieu de Coste,” “Matheus de Cost” and “een Swart genamd Matheu”), interpreter (dates and places of birth and death unknown). Da Costa is one of the most fascinating and elusive figures in the early history of Canada. Historians consider him the first Black person known to have visited Canada, probably in the company of Pierre Dugua de Mons and Samuel de Champlain. But many aspects of his life remain unclear or unknown. 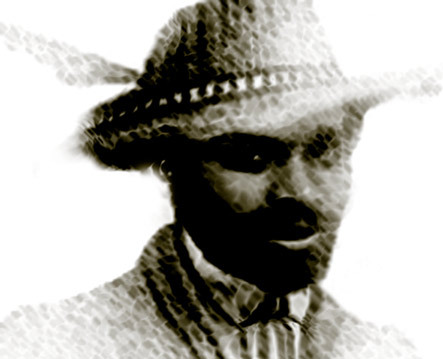 Historical records describe Mathieu Da Costa as a Black African who, working as a free man, served as an interpreter for French and Dutch traders and explorers in the early 17th century. But it is hard to determine with any accuracy whether Da Costa ever in fact visited the coast of Atlantic Canada and the St. Lawrence River and, if he did so, with whom and exactly when. Historians believe that Africans began to serve as interpreters for the Portuguese in the late 15th century, and then, around the turn of the 17th century, for the Dutch, the English and the French, the last of whom had by then begun exploring farther and farther south down the coast of Africa. This might explain why Mathieu Da Costa spoke French, Dutch and Portuguese. What is less clear, however, is how Da Costa ended up working as an interpreter for Indigenous peoples in North America. Historians think that he may have used a Basque “pidgin” language (a fusion between Basque and the local Indigenous languages) commonly employed in trading along the Atlantic coast of North America, where the Basques of northern Spain frequently came to fish. Many European voyagers, such as Marc Lescarbot, mention the existence of such pidgin languages in the early 1600s. The Mi’kmaq and the Innu, who lived on the north shore of the St. Lawrence River, understood this dialect. It is also possible that Da Costa made some extended stays in the Americas and learned one or more Indigenous languages in the process — or even that he met North American Indigenous people in Europe and became familiar with some aspects of their languages there. The only verifiable fact known about Mathieu Da Costa comes from a document showing that he was in Holland in February or March 1607. It seems very likely that the Dutch kidnapped him from the French. 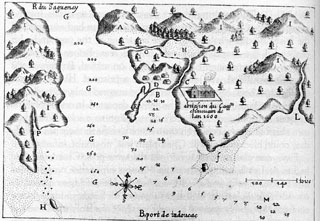 Jean Ralluau, the secretary to French explorer Pierre Dugua de Mons, travelled to Amsterdam at that time to contest the Dutch seizure of the contents (cannons, anchors and other goods) of two of his ships at Tadoussac. One aspect of the dispute was Da Costa’s kidnapping by the Dutch, which suggests that by then, he may already have been working as an interpreter and may have participated in trade expeditions along the St. Lawrence River and the Atlantic coast of Canada. Another important document is the service contract that Da Costa signed in Amsterdam in May 1608 with Nicolas de Bauquemare, a merchant from Rouen, in Normandy. This contract ran for three years, starting on 1 January 1609, and paid Da Costa a salary that was quite considerable at the time. In this contract, Da Costa agreed that in 1609, he would sail with or on behalf of de Mons and serve as an interpreter on “voyages to Canada, Acadia and elsewhere.” Several historians have therefore speculated that Da Costa subsequently accompanied de Mons and Samuel de Champlain on one or more of their voyages to Acadia and the St. Lawrence region. This is a plausible hypothesis, but it is certain that during the first few months of this contract, Da Costa was not on board a ship headed for North America, because he was in Rouen in the spring of 1609, and on 15 June of that year, de Bauquemare terminated his contract on the pretext that “the said n— violated its terms.” A few months later, in December 1609, de Bauquemare had Costa imprisoned in Le Havre and transferred the contract for his services to Pierre Dugua. The reasons for the charges made against him are still unknown, but the document refers to an act of “insolence.” From that date on, the historical record reveals no further traces of him, so it is impossible to know where Da Costa spent the last years of his life. 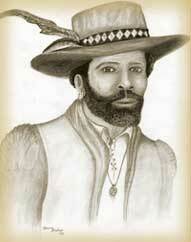 Da Costa’s name is mentioned in a series of lawsuits between Dugua and de Bauquemare, starting in 1609. De Bauquemare had worked not only for Dugua, but also for the Dutch, and was on board a Dutch ship, the White Lion, when it attacked Dugua’s vessels in 1606. The case dealt, among other things, with the costs that the French had to assume following Da Costa’s kidnapping by the Dutch. Unfortunately, although this case dragged on before the courts until 1619, the records of it tell us nothing about Da Costa’s fate. There is no reason to think that he remained in prison; on the contrary, there is a proxy from Dugua, dated 11 December 1609, to have him released from prison, which suggests that he was in fact, freed. 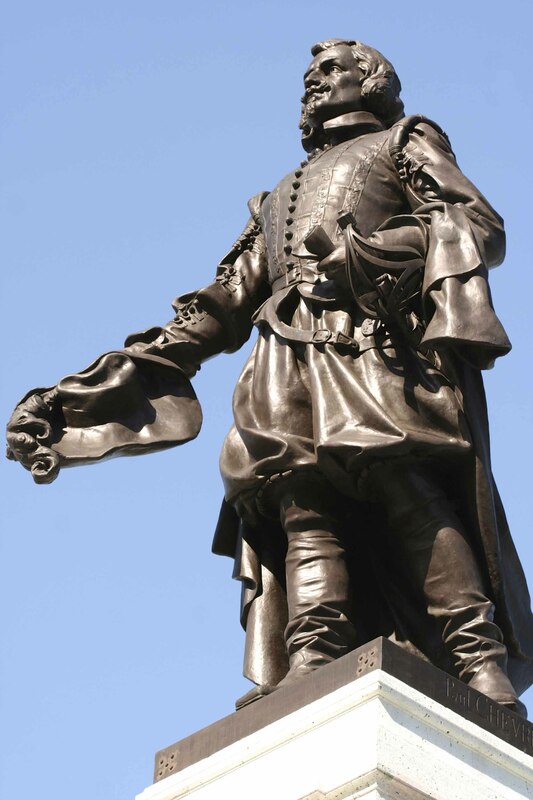 Hence he may still possibly have joined one of Dugua’s many trade and exploration expeditions along the Atlantic coast between then and 1617. Although the story of Mathieu Da Costa is not well known in Canada, and the lack of evidence makes some historians question whether he was ever even there, a number of Canadian heritage sites, museums and cultural organizations commemorate his passage. 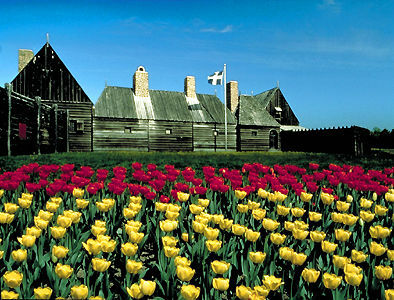 The Port-Royal National Historic Site, in Annapolis Royal, Nova Scotia, celebrates his role as an interpreter between Indigenous peoples and the French explorers. A plaque honouring him has been placed on the Mathieu Da Costa African Heritage Trail, a series of monuments erected and unveiled in 2005 to highlight the history of Black Nova Scotians in the Annapolis Valley. From 1996 to 2011, the Government of Canada held the Mathieu Da Costa Challenge, an annual creative writing and artwork contest to encourage young people to discover just how much diversity has shaped the history of Canada, and the important role that pluralism plays in Canadian society. 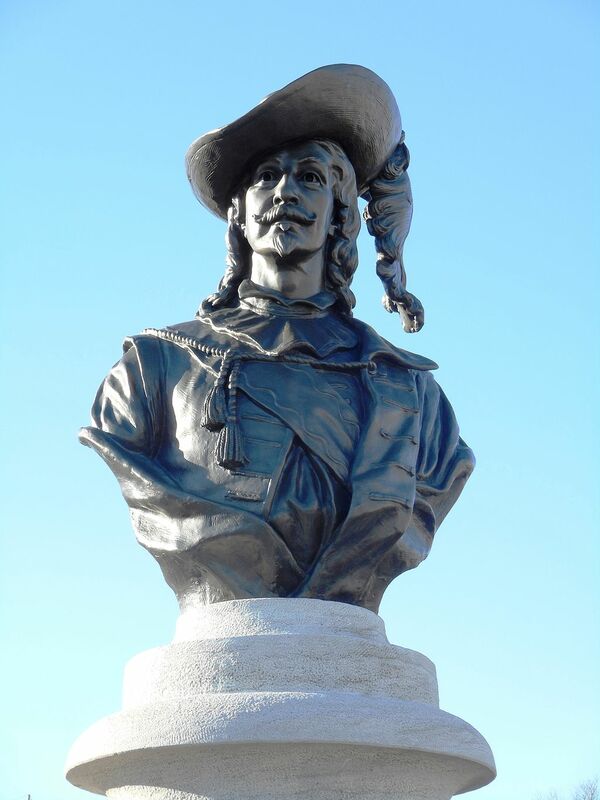 In 2009, a bill was tabled in Parliament to designate the first Monday in February as Mathieu Da Costa Day throughout Canada, but it died on the Order Paper. Da Costa has also been the subject of works of fiction, including Mathieu Da Costa, a graphic novel published in 2013, with text by Diane Groulx and illustrations by Jocelyne Jatte. This novel provides an imaginative account of the life of the first African interpreter in New France. 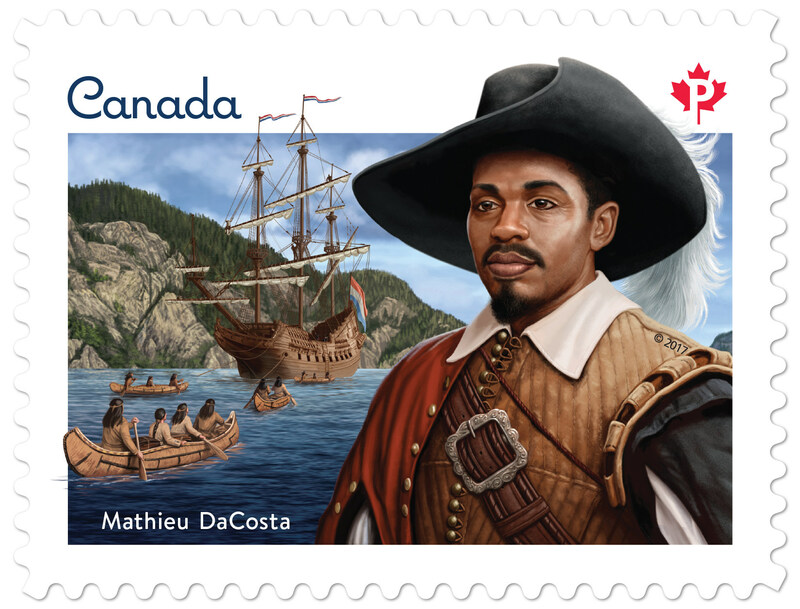 Lastly, a francophone primary school in Toronto and two streets — one in Montréal and the other in Québec City — have been named for Da Costa, and Canada Post issued a postage stamp bearing Da Costa’s likeness in early 2017, to mark Black History Month. A.J.B Johnston, "Research Note: Mathieu Da Costa along the Coasts of Nova Scotia: Some Possibilities," Journal of the Royal Nova Scotia Historic Society, 4 (2001): 152‒64. Mathieu Da Costa and Early CanadaA summary of the fragmentary evidence and speculation concerning the possible role of Mathieu Da Costa and other interpreters in early European expeditions to North America. From Parks Canada. An Act to establish Mathieu Da Costa DayRead the full text of the Act on the Parliament of Canada website.